“Before marriage, I dreamt of living a blissful married life with the person I loved. Both of us were in the same university and we got married soon after the completion of our graduation in 2001. But after our marriage my dream regarding conjugal life started breaking apart. I found some unexpected and sudden changes in his behaviour. By the time I was working as a junior lecturer at a private university and my husband was an executive of a multinational company. He suspected that I have an illegitimate relationship with one of my colleagues. Besides, whenever he was in bad mood, he used to abuse me mentally and physically. Some of our relatives suggested us to take a baby as according to them it could resolve all our problems. Following their advice we took a baby after 3 years of our marriage. But nothing changed. Moreover, the level of my husband’s torture on me increased with the passage of time. At last, to escape the bitterness of my unpleasant conjugal life I went to the UK to do my masters. There I stayed over three years and learned how to live alone and how to survive as a single mother. It was in 2011, when finally I filed a divorce petition. In our social context divorce is always considered as a shameful incident for a woman. I had thought a lot about the future of my baby girl before making this decision. I had to go through a very stressful time immediately after the divorce. I had fought for the custody of my girl and faced immense social pressure as well,” shared Tamanna Meherin Chowdhury (not her real name), while opening up about her unhappy conjugal life and its ultimate result. Being a highly educated woman who belongs to upper middle-class if Tamanna had to repeatedly consider the consequences of divorce in her life, then it is not hard to imagine the situation of other women in our society. There are thousands of examples where women are tolerating inhumane physical and mental torture only to continue their conjugal life and avoid social criticism. But there are some exceptions as well. There are women who bravely challenge the long-lasting stereotypical ideas and choose their own path. How does our society evaluate them? How are the women who don’t tolerate such pain and divorce their husbands or the women who are divorced by their husbands treated in our country? What sort of struggle do they need to embrace? To know the answers of these questions let’s dig deeper into the matter. There can be enormous reasons for divorce between a husband and a wife but extramarital relationships, dowry, domestic violence, poverty and physical incapability are some of the common causes that are often found in the case studies. Sometimes differences in religious, cultural and social values also force couples to get separated. In Bangladesh Muslim marriage law permits polygamy under specific conditions. If the first wife allows her husband for a second marriage, he can get married for the second time. Although by law he is bound to provide equal opportunities to all his wives and maintain them properly, in reality polygamy is often practiced in our country without taking permission from the first wife. Sometimes after getting married the new wife comes to know that her husband has a first wife. All these reasons ruin conjugal life and result in separation. 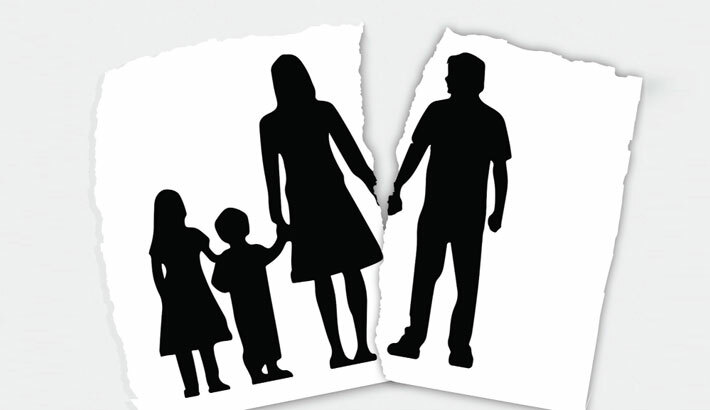 There can be dozens of causes for divorce where men are found responsible but in most cases society accuses divorced women and holds them responsible for it. Consequently divorced women have to go through a tough situation. Separation profoundly affects the divorced women financially, emotionally and creates physical and social pressure on them. Men run most of the families in our country. Women after marriage mostly serve as housewives. As fathers before marriage and husbands after marriage take all the responsibilities of women, they become dependent on them. Even the women involved with other professions often have to spend their income following the wish of their husbands. Consequently many women don’t think about being self-reliant. Moreover though by law the women have the right to have the properties inherited from their father, in reality they are often deprived of their rights. Paternal property distribution law is not practiced properly. And lengthy legal system doesn’t allow them to establish their rights on paternal property. Thus following their divorce, women just fall into a terrible situation. In most cases neither their former husbands provide them economic support that they lawfully deserve nor do their father and brothers want to assist them. In such situations divorced women look for employment opportunity. In the face of lack of job facilities most divorced women of the rural areas migrate to the cities to look for a job or take loans to start a small business. In a patriarchal society like ours, women are expected to keep the whole family together. A married woman’s success doesn’t rely on her other achievements rather it depends on how skillfully she manages her married life. Women repeatedly have to walk on the thin scale created by the society to prove her as virtuous. If somehow the marriage fails or the husband marries another woman, the society considers it as a failure of the wife! Consequently that wife turns into a failed character. After all these divorced women even have to face problems to rent a house. In many rural areas they are excluded from the traditional marriage ceremonies as well. Moreover remarriage of divorced women is more difficult than men as many people usually question the character of such women. Sometimes they think that the divorced women do not have the womanly virtues. Even in the educated families of urban areas new relationship of a woman following her divorce is not viewed normally. The situation is even worse for those divorcees who are single mothers. Sometimes these women need to choose between a new relationship and the life of a single mother. And in such situations they decide to stay beside their child with a view to protecting them from future vulnerabilities and raising them with proper care leaving behind the dream of trying a second chance in life. To conclude, unfortunately most people in our society love to criticize others and interfere in their lives without taking their situation into account. They don’t want to understand the actual agony of separation which can only be felt by them who are forced to go through such experience. Both a husband and a wife may be found responsible for ruining a marriage. So, it is never rational to blame someone only because of gender biasness. Society must change its stereotypical attitudes towards divorced women and stand beside them so that they can turn their life around and face further challenges to live life with dignity and social security.